The 2019 Assessment has been set at $535.00, which represents a 5% increase from the 2018 assessment. Assessments are due January 1st of each year and late if received after January 31st. If you do not receive a statement, please contact C.I.A. Services or you can request a new statement by clicking on the Question/Request tab above. You may submit your payment by mail, in person, or online. The association is conducted by a 5-member Board of Directors who volunteer their time for the benefit of the community. 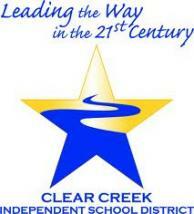 Property owners elect members to the Board at the Annual meeting each July. If a Board member is unable to complete their full term, the remaining Board members appoint someone to fill the remainder of the term. Gate remotes are sold to residents at a cost of $55.00 each. The Vehicle and Gate Registration form must be complete to obtain access. Should your remote break, get lost or is stolen, a replacement fee of $55.00 is required. All exterior alterations or improvements to a property must be reviewed and approved in advance of construction by the Architectural Control Committee (ACC). Residents must submit a home improvement application describing the work to be performed. The ACC will review the request and render a decision within 45 days. If it is not approved as submitted, the ACC may provide suggestions for making changes so it can be resubmitted for approval. As of May 1st 2018 AmeriWaste is the primary trash provider for League City. Trash is collected on Wednesday and Saturday. Heavy trash will be picked up on the second collection day. Recycable bins are being replaced with a 48 gallon closed top bin. If you have not received a new recycling bin and would like to receive one email AmeriWaste at leaguecity@ameriwaste.net. or call 281-585-3200. If your trash is scheduled on one the following holidays it will be picked up on the next regularly scheduled day. For more information on these services, visit the City of League City web site or call at (281) 554-1335. 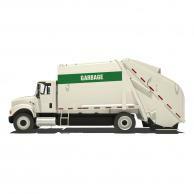 For issues regarding your garbage service, please call Republic Waste Services directly at 1-800-942-9332. If you have a water or sewer emergency after hours, please call: (281) 554-1390. Mosquito spraying is provided as needed by Galveston County. Please call Galveston County at 1-800-842-5622 for additional information. The League City Police Department serves the Lakefront community. The League City Fire Department serves the Lakefront community and has five stations in League City. For insurance, land use, or inspection questions, please contact Wanda.Martin@leaguecity.com. League City Animal Control is a division of the League City Police Department and is responsible for the enforcement of city ordinances and state laws pertaining to animals and fowl. Animal Control is dedicated to educating/informing the public of their responsibilities to their animals, their neighborhood, and ultimately to their community, then enforcing the ordinances of our city when our education efforts are not enough. Animal Control strives to reduce the dangers and nuisances caused by irresponsible pet ownership and to protect pets from abuse.